Write a letter to the person you feel angry with: yourself, your baby, your spouse, a family member, or even God . Talk to a close friend or professional about the anger you are feeling. Find a healthy outlet for your anger such as punching a pillow, intense exercise, yelling or screaming aloud (not at another person) or even running around the block as fast as you can. Help another person. Use your restless energy to clean someone’s house, mow a lawn or fix a meal for someone in need. Focusing on others is a great way to take your mind off your pain. Cry. Many women (and even men) release their anger through tears. Confront the source of your anger. If you are angry with a spouse or family member have an honest discussion during a time when you are NOT feeling angry. If needed, ask a close friend or professional to help. If you are angry with God or your baby, face an empty chair and have a ‘confrontation,’ expressing your anger. The month of October can difficult for many who are dealing with the grief of miscarriage, stillbirth or infant death. Since my miscarriage happened during the month of October I am always reminded at this time of year. It was right before Halloween…and now that emotional event is marked each year by the coming of Fall and the activities that accompany Pregnancy Loss Awareness Month. As each year passes, I try to focus less on grief and more on reflection remembering the child I never knew. 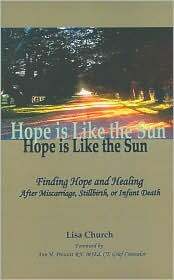 When a baby dies during pregnancy, or shortly after, the hopes and dreams of the parents die with it. If the couple has no other children, the loss can be even more devastating because the ‘family’ has died as well. Pregnancy loss causes a void, and this emptiness must be addressed in order for parents to adjust to a life without their baby. For the woman, the physical connection between mother and child is even greater. She must overcome the feeling that a part of her is gone. You will never forget the child who died; you will find ways to remember your baby as an important part of your past. As a couple, or even a family, you will form a new view of your future. Return to work. Going back to work can help you to feel that you are getting back to your routine. It is also helpful to be surrounded by familiar and caring co-workers. Keep your routine as normal as possible. Maintaining structure will help you feel a sense of control. Volunteer. Helping others actually helps to keep your mind off of yourself, and it can improve your perspective. This is both rewarding and healing. Indulge yourself. Get a message, go shopping, or treat yourself to a facial or manicure. Anything you find relaxing or soothing will help. Recognize your progress. Notice when you can get through a few hours or days without pain. Find something you are thankful for, laugh, look forward to something. Recognize when you can talk about your loss more easily or feel less preoccupied with yourself and your loss. Get counseling if you cannot function normally, you feel no relief, or your grief has gone on for too long. If, despite all of your efforts, you cannot cope or adjust, seek professional help. Readjusting the hopes and dreams you had before your loss is not easy, but it is an important step in moving on with life. It allows you to create a new place for your baby and move on to new hope and new dreams for your future. In 1988 President Ronald Reagan signed a proclamation declaring October as Pregnancy and Infant Loss Awareness Month. Unfortunately, the President had a personal experience with infant loss during his first marriage, when his newborn died just 7 hours after delivery. Many states have further declared October 15th as Pregnancy and Infant Loss Awareness Day, but remembrance and events are seen throughout this important month. What do this mean to you? Awareness Month is a simple way to open the door to conversations about your feelings and your baby. You may feel compelled to talk to your family, friends, your community or maybe your spouse or significant other about your child who died. http://search.store.yahoo.com/cgi-bin/nsearch?follow-pro=2&vwcatalog=nichenet-store&query=pregnancy%20loss%20awareness&catalog=nichenet-store The pins are inexpensive and arrive in a few business days. You can also make your own Pregnancy Loss Awareness Ribbon with pink and blue ribbon. The pins should be worn on the left-hand side just above your heart- where your baby already lives. We run this article every October to be sure that families who have suffered miscarriage, stillbirth or early infant death are aware of this very important month.